If you are planning to go to a Networking Event, be prepared with these Networking Tips to get the most out of your time. Being organised and ready will help you get the most out of the opportunities from attending. Follow the steps below at your next networking event. If you are attending a Networking Event you need to come prepared. Remember to bring you name badge, business cards, promotional material, notebook and pen. These are your objects to have but you also need to prepare how you will introduce yourself, your Elevator Speech and bring along a smile. Showing you’re organised and timely reflects on your Business reputation too. Being early and on time makes you feel calm, ready and more present. Engaging in conversations is the best way for people to get to know you more on a personal level. This creates trust and the more they get to know you it will build your relationship with them. Whether it is your first time or if you are a regular be memorable, share interesting stories about your Business that is relatable or helps others. Adding value and helping others builds your reputation to be resourceful, helpful and service minded. Showing this to your fellow Business Network not only helps them personally but it shows the type of customer service you provide in your Business. If you are given a referral, follow up immediately and most importantly give thanks to the person who gave you the referral. Building a good foundation is about giving also. Look for opportunities and ways that you can help others with referrals, advice, resources, assistance in some other ways like a charitable event. This is important to know how to help build your Business. If you are looking for a specific target market share that with your fellow Networkers. They have many connections that could give you the type of Referral that you are after. This is a big No No, you are there to build connections and relationships not sell. Even your Elevator Pitch is not about selling, you can explain what you do and your unique selling point but think about connecting not selling. Meeting someone one off isn’t going to build your Network. You need to nourish it and build that relationship by following up and continuing that connection whether online or in person. 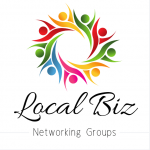 Send an email, connect on LinkedIn, meet for a coffee and get to know your Network better. This is how solid connections are made. Networking can be very valuable for your Business if you plan correctly and find the most suitable Networking platform you can make connections, share ideas, work on your challenges and expand your Network.